B.B. 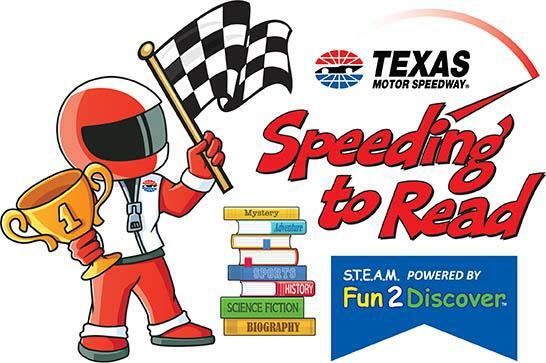 Owen Elementary is Lord of the Library once again, going 4-for-4 as top school in 2018-19’s Texas Motor Speedway Speeding To Read. The yearlong education program includes 14 participating Dallas/Fort Worth schools. Carter Park (Fort Worth ISD); Diamond Hill (Fort Worth ISD); Homestead (Lewisville ISD); Price (Mesquite ISD); S.M. Seabourn (Mesquite ISD); Sidney H. Poynter (Crowley ISD); Stewart’s Creek (Lewisville ISD); and Tom C. Gooch (Dallas ISD).Out of the 5,058 students participating, these 12 schools collectively read 58,060 books in the fourth quarter of the competition. During the four-week scoring period, Diamond Hill read the most with a whopping 15,834 books. Carl E. Schluter also broke the 10,000-book barrier with 10,266.